According to Andrew Newberg, M.D. and Mark Robert Waldman, words can have the power to not only change how our brain controls our thoughts and emotions, but can even alter gene expression. In their book Words Can Change Your Brain, the authors say that “a single word has the power to influence the expression of genes that regulate physical and emotional stress.” They state that positive words like “peace” and “love” can alter gene expression and strengthen our frontal lobes. 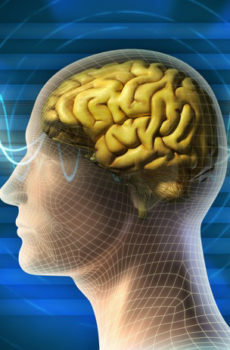 (the areas in our brain responsible for cognition and thinking about, and through, things). On the flip side, they say that negative, aggressive language can disrupt gene expression that otherwise would set in motion the production of neurotransmitters (little chemical signals that are kind of like the brain’s alphabet and words) to help us cope with stress. We just love the message these guys are giving but have to do our due diligence on this one and see what the science is really saying—as, to our knowledge, there have not yet been studies performed on emotion and gene expression per se (although we think this is so cool, and hope that research takes this route soon). An interesting body of research we looked into does suggest that negative words, and negativity in general, do ramp up the amygdala (the part of our brain that processes fear and anxiety), which in turn inhibits the prefrontal cortex (the part of our brain that allows us to think and reason). So, it appears that negativity can make us more stressed and anxious, and less likely to think rationally or reasonably. This is very important and relevant neuroscience research that we can all apply to our lives in the way we chose to speak and behave, and whom we surround ourselves with. But gene expression? We will wait for more science to corroborate that one. Kennis M, Rademaker AR, Geuze E, 2013. Neural correlates of personality: an integrative review. Neurosci Biobehav Rev, 37(1):73-95. Dedovic K, Duchesne A, Andrews J, Engert V, Pruessner JC, 2009. The brain and the stress axis: the neural correlates of cortisol regulation in response to stress. Neuroimage, 47(3):864-71. Dolan RJ, 2007. The human amygdala and orbital prefrontal cortex in behavioural regulation. Philos Trans R Soc Lond B Biol Sci,362(1481):787-99. Davidson RJ, 2002. Anxiety and affective style: role of prefrontal cortex and amygdala. Biol Psychiatry, 51(1):68-80.